This edition of Henri Vieuxtemps’ (1820-1881) Concerto No. 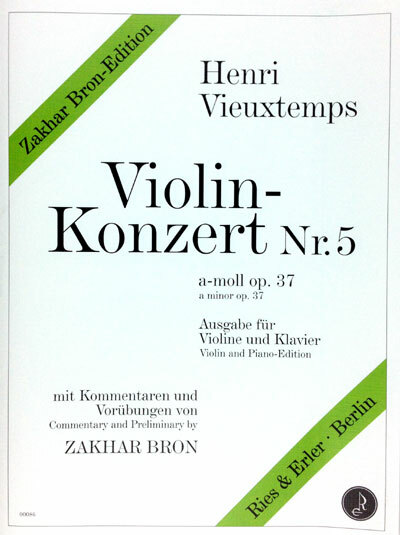 5 is unusual in that special performance notes, fingerings, and studies for the piece have been provided by Russian virtuoso and pedagogue, Zakhar Bron. The work, a classic of the French Violin repertory, is challenging, but repays study for its unusual blend of fiery virtuosity and warm lyricism. This is a beautifully engraved and sensibly edited edition of a basic work of the violin repertory.